Bumped into this Belgian style ale, at a local liquor store, and decided to take it for a spin! I heard alot about Allagash Beer Brewing, located in Portland,ME. This style ale has a deep history. Derived from Catholic order monks, the Trappist, created this beer recipe and sold it, to generate revenue for their commune. This beer was very hoppy, heavy carbonation. It smelled like a mixture of cloves and wheat. 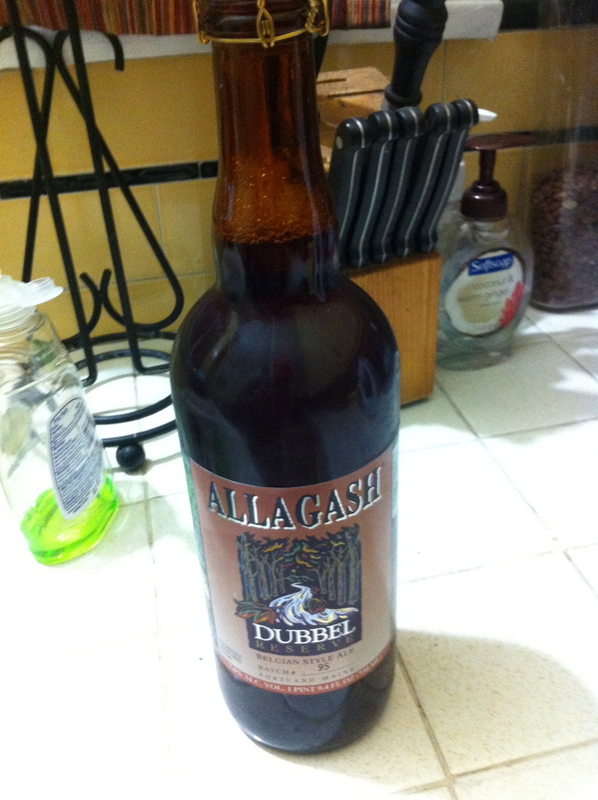 Allagash describes this beer as follows:”Allagash Dubbel boasts a deep red color and a complex malty taste. The finish is dry with subtle hints of chocolate and nuts. The yeast asserts itself by lending a classic Belgian fruitiness” – The beer ABV 7%. During the winter season I have been tasting all types of ales. If you are into hoppy and roast type beers, then this is the winter ale beer for you. My take on the beer was satisfactory. I have had some better tasting ales but as my beer tasting pallet has matured, the less hoppy beers are for me. But not to knock on this well crafted Dubbel Reserve – it meets all standards of a good ale quality beer. ~ by Golden Foam Notes on February 27, 2013.